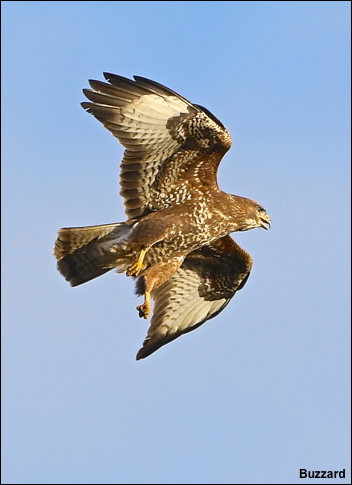 Who would have thought that after nearly fifty years of filming birds that your best flight shots of buzzards would have been taken stood at the back door of your house. A couple of weeks ago I was returning from a session filming Waxwings when, as I entered the house with my camera gear, two Buzzards were descending overhead into a field nearby. I didn’t even have time to put the lens hood on the camera as I fired a short burst of shots.